John Salazar, Scott Tipton rematch? U. S. Rep. John Salazar, D-Manassa, says hes keeping his options open after he leaves Congress next month, but his plans could include a 2012 rematch with Republican Scott Tipton, who defeated him in November. WASHINGTON  U.S. Rep. John Salazar, D-Manassa, said Wednesday that he is considering a 2012 rematch against Scott Tipton to win back the House seat he lost in November. In an interview outside the House chamber after a vote, the outgoing congressman speculated about his future. When asked for comment, Tipton said he was not aware of Salazars consideration to run again. 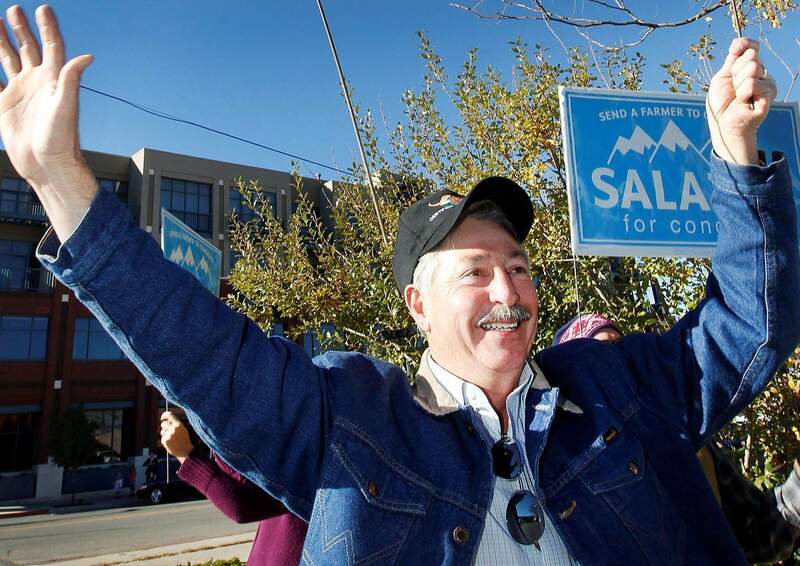 Looking back, Salazar described the election  in which he lost to Tipton by 3 percentage points  as unwinnable. He blamed the millions of dollars of outside money that flooded last-minute into the race as the reason for his loss. But when it comes to his six years in office, the man from Manassa said he had no regrets. He marks his biggest achievements as shepherding a bill through Congress creating the Southern Colorado Veterans Cemetery and getting the Arkansas Valley Conduit project in Southeast Colorado off the ground. Salazar faces challenges of another caliber in the remaining days in the lame duck session. He  along with more than 90 other departing members  was forced to vacate his space in the ornate Cannon House Office Building earlier this month to make way for incoming members. He is now working out of a makeshift cubicle in a basement dining room in another House office building. In addition to getting used to the smaller space, he said for now, his biggest legislative priority for Congress lame duck session is passing the DREAM Act, a proposed bill that would give illegal immigrants a pathway to citizenship if they serve in the military or attend a U.S. college. He said he also is eager to vote on a collection of dozens of public-lands bills  grouped together in one omnibus bill  that includes provisions that give the San Juan National Forest wilderness area designations and names Chimney Rock Archeological Area a national monument. And his only advice to Tipton? He better be willing to work hard, Salazar said. Tamar Hallerman is an American University intern for The Durango Herald. Reach her at herald@durango herald.com.